The consumption of contaminated foods can result in illness caused by a variety of pathogenic microorganisms, with a wide economic and public health impact worldwide. Bacterial pathogens are frequently responsible for both food spoilage and food-borne diseases showing a severe health risk in developing countries, but they constitute still a problem also in industrial States. Bacterial foodborne pathogens can survive and replicate under a broad range of environmental conditions and food contact surfaces can provide a solid substrate for the adhesion and colonization of microorganisms forming biofilms. All food business operators have to comply with criteria of good practice for hygiene according to European Regulation No 852/2004, preventing the contamination of food both of animal and plant origin. 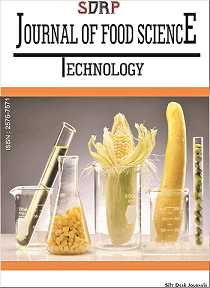 Bacterial foodborne pathogens not only have to survive in food industries but also in food matrix. In general, survival, growth and multiplication of microorganisms in food depend on various intrinsic and extrinsic factors such as pH, water activity, redox potential, presence of antimicrobials, temperature, atmosphere (oxygen and carbon dioxide), relative humidity. Moreover some Gram positive bacteria have the ability to produce spores, when exposed to adverse conditions, which are more resistant to all factors that are lethal to vegetative cells. Besides bacteria, other biological hazards include viruses and toxins produced by organisms like fungi and dinoflagellates. Food can be classified in various food categories and more specific in food types. The first are characterized by the common origin (e.g. milk and dairy products, meat and meat products, fish and fishery products, vegetables and fruits, etc.) whereas food types are grouped according to their similar process or preservation system, showing both comparable intrinsic characteristics and microbial ecology, and are differentiated for the risk level. In particular the risk attribution can be based upon the potential of microorganisms to grow or survive in food, the association of a specific food type to foodborne outbreaks and the individual sensitivity.